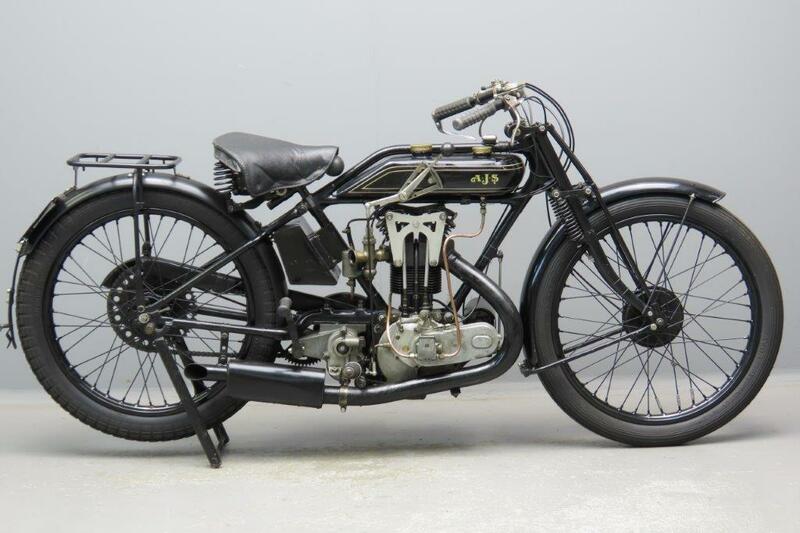 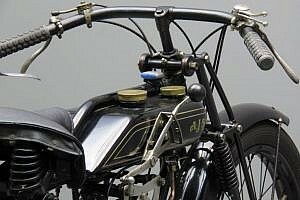 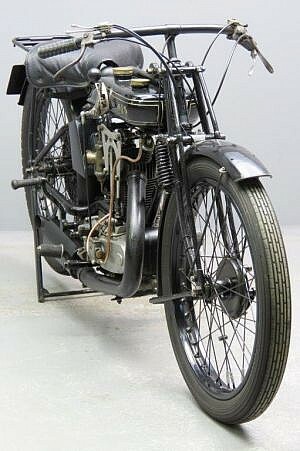 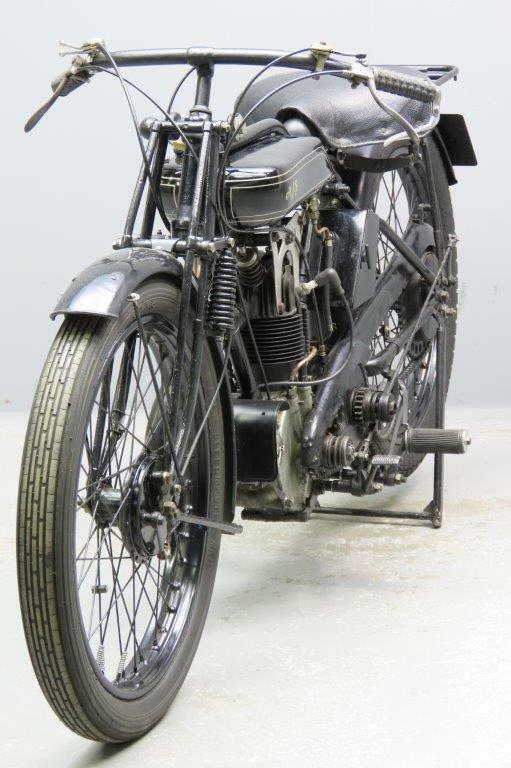 After victory in the 1920 Junior TT, AJS’s new overhead-valve 350 racer scored a memorable double the following year, Tom Sheard winning the Junior race and Howard Davies the Senior, the first time such a feat had been achieved on a 350. 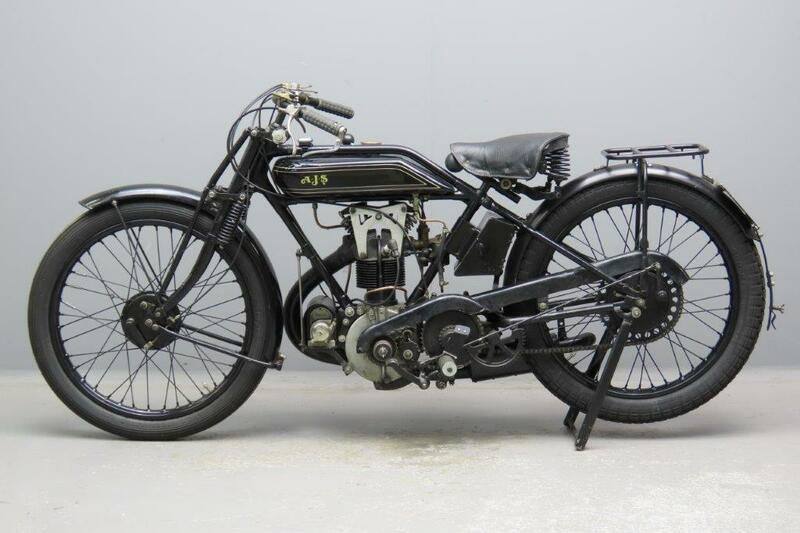 The production version made its debut in November 1922, delighting clubmen everywhere with its ‘racer on the road’ performance. 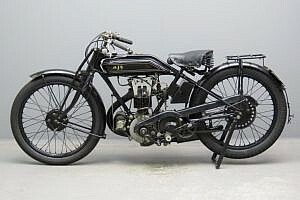 A right-first-time design destined to achieve countless successes in the hands of privateers, the overhead-valve 350 AJS – latterly known as the ‘Big Port’ – changed only in detail before being superseded by a much-revised M6 model for 1929. 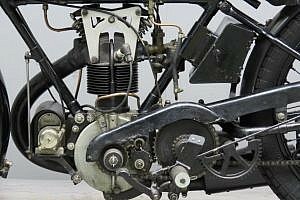 The detachable head and cylinder are held down by a single U-shaped strap and anchored to the crankcase by sleeve nuts. The overhead rockers have very large bearing surfaces and they are carried on brackets bolted to the cylinder so a free air passage around the whole of the cylinder head is guaranteed. 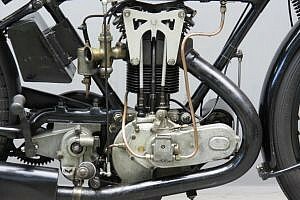 The engine dimensions are 74 x 81 mm, there is a three speed AJS countershaft gearbox on board and the machine weighs a mere 90 kg, good for a top speed of 100 plus km. This agile sports machine is an older restoration and a good runner.